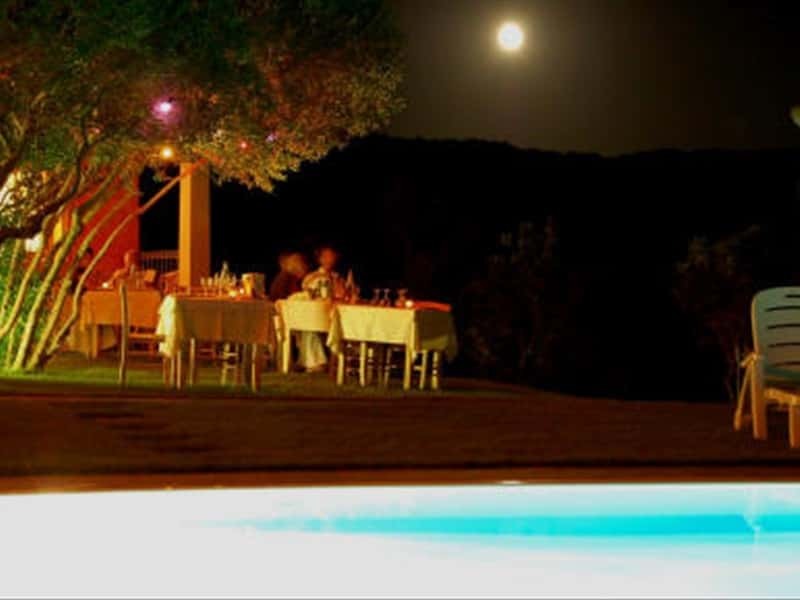 The Aldiola Country Resort is idyllically situated in the Sardinian brush country, surrounded by century-old cork and holm oaks. 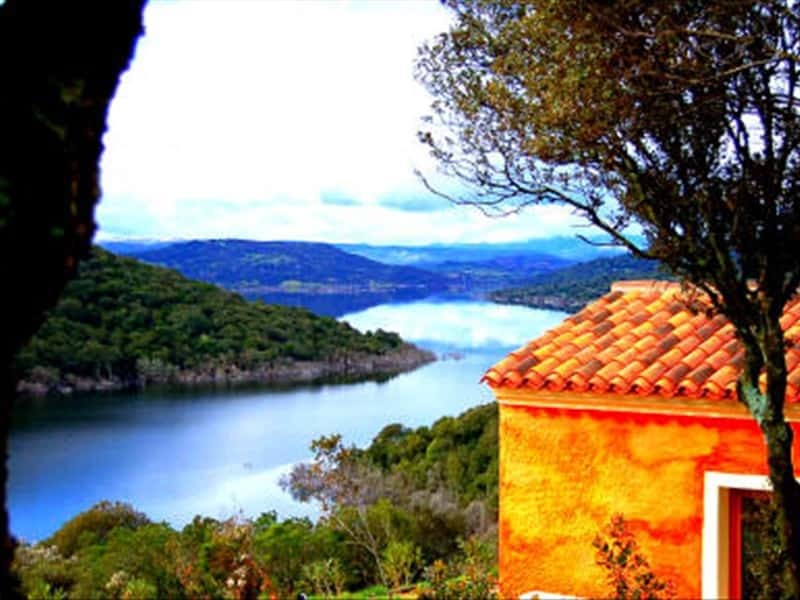 It rises on the hills overlooking the "Liscia", a lake just a few kilometres from the Costa Smeralda (the famous "Emerald Coast"). The strikingly situated swimming pool and the various shady spots invite the visitor to repose and meditation. 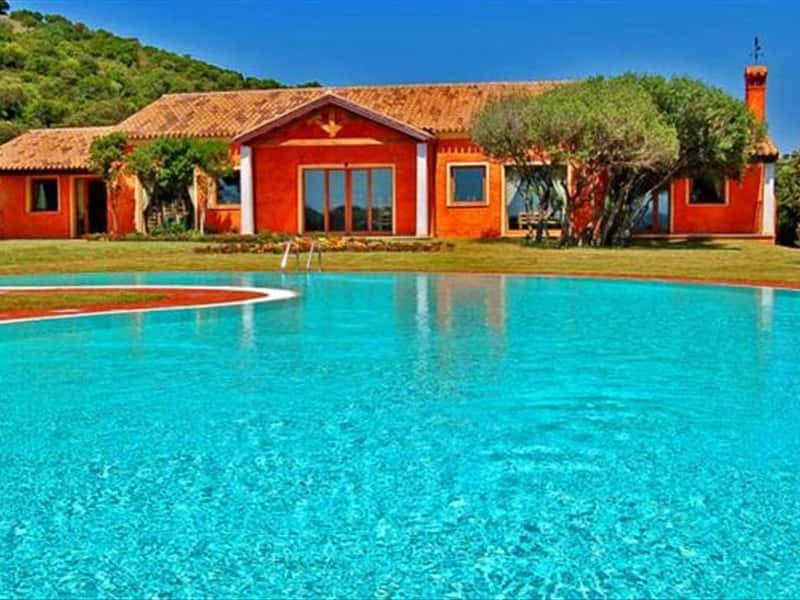 The architectural features of the pastoral region of Gallura are reflected in the lay-out of the hotel bungalows with their spectacular views of the lake. 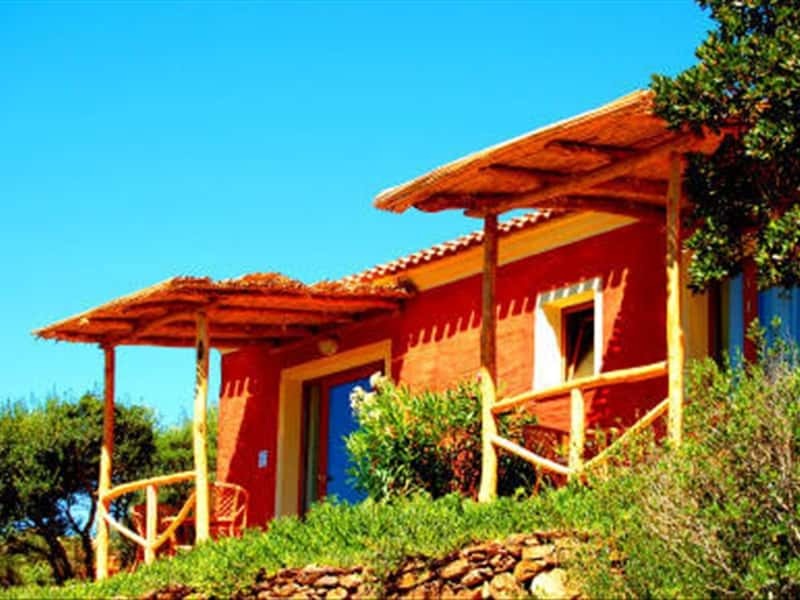 All the rooms are furnished in the Sardinian fashion with particular care given to the choice of materials: woodwork, fabrics and ceramics created by the island's finest craftsmen. 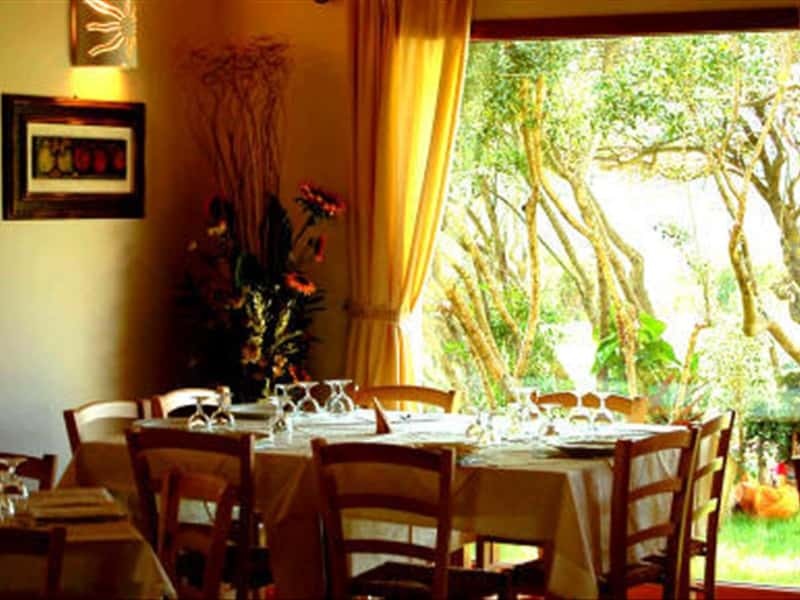 Our cuisine offers excellent refined dishes, enhanced by the use of typical Sardinian ingredients. The surrounding area is rich in extraordinary sites, both natural and archaeological: a short distance away, on the shores of the lake, thousand-year-old olive groves and phenomenal granite rocks sculpted by wind and water. Monuments of the nuragic age remain intact, defying time. The Aldiola Hotel is the perfect point of departure for day journeys by car or four-wheel drive, nature walks, and more challenging trekking excursions. The Aldiola resort is composed of individual bungalows architecturally evocative of the typical pastoralist dwellings. 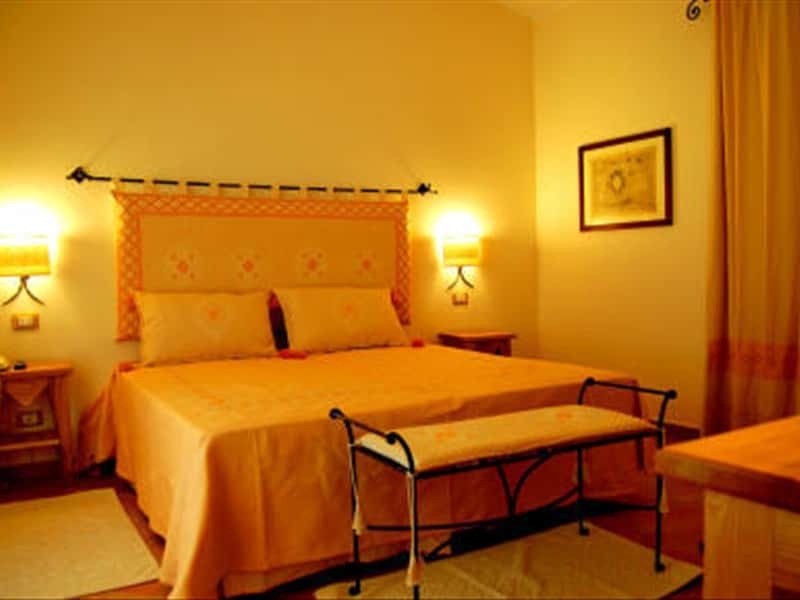 Each bungalow is divided into two en-suite double rooms, each with its own private entrance and terrace. All the buildings face the lake. The rooms are a combination of tradition and comfort- tradition in the choice of style; comfort, including heating and cooling systems, minibar, satellite TV and safe. 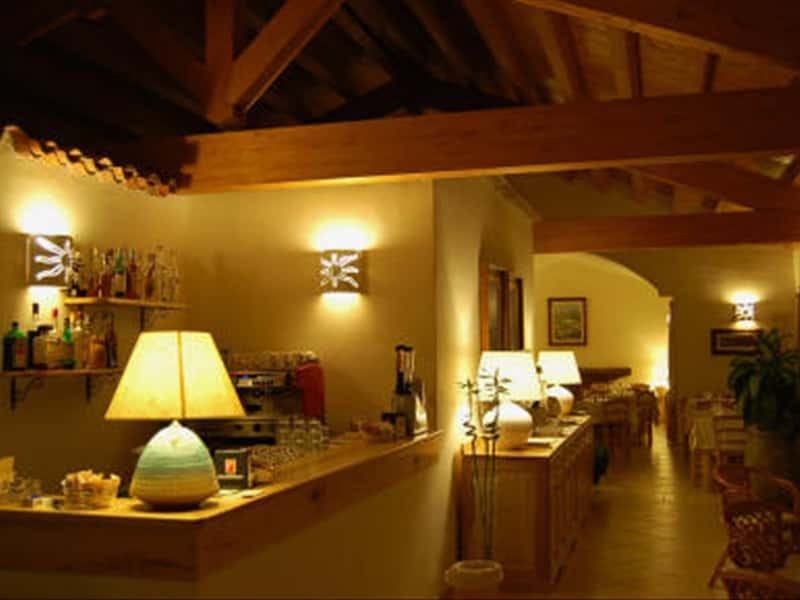 Furnishings are in the authentic Sardinian style. Particular care has been paid to the choice of wood and ironworks for the furniture and fixtures, textiles and ceramics for decoration, all crafted by the finest Sardinian artisans. This structure web page has been visited 18,496 times.